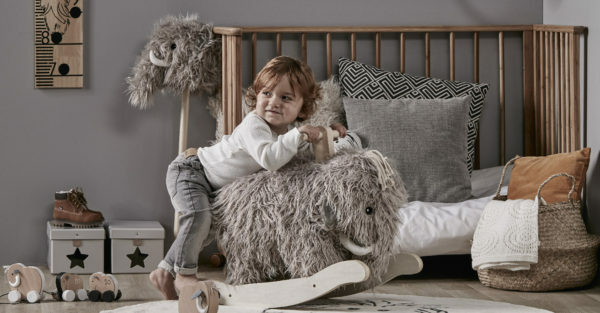 If you are keeping bub’s gender a surprise or looking to ditch the gender cliches in your nursery, here are five tips to ensure a balanced approach when designing your baby’s first room. The first stage of designing your nursery is choosing a theme so that you have consistency across the space. There are a myriad of theme choices that work well for boys and girls. Adventure, nautical, dinosaurs, animal kingdom and an outdoors theme can all inspire the imagination of both genders. Your theme choice can also be guided by colour, tone or culture such as Scandinavian, rustic, industrial or monochrome. You can pick something that has meaning to you or purely something that suits your style. Pinterest has a wealth of inspiration. After you have chosen your nursery theme you need to consider the colour palette. Neutral tones such as white, cream, beige and grey work well as a modern backdrop. To add some more energy, you can introduce colour accents such as navy. Whilst gold, pinks, yellows and pastels in isolation are traditionally quite feminine, these can still work in a gender-neutral room, they just need to be balanced with some darker or saturated colours such as red and brown – just don’t let either of the masculine or feminine colours dominate. Keep in mind nursery prints are an inexpensive way to simply add colour accents whilst also featuring imagery that sets the tone. A simple way to get the gender balance even in your nursery is to combine traditionally masculine straight and angular shapes with the more feminine soft edges and curved lines. For example, a sleek, sharp lined rocking chair can be balanced with a rounded ottoman or curved rug. 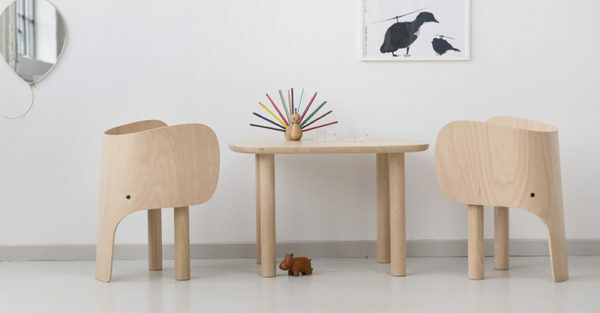 Or pair a rounded kid’s chair and circular table with straight or angled wooden floor boards. Feminine textures are traditionally dominated by fabrics such as lace and soft layers compared to more masculine leather, dark fabrics and strong patterns. 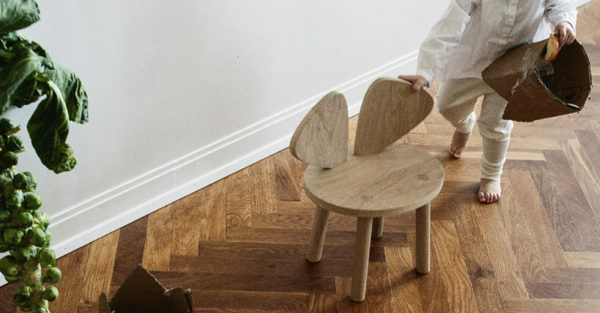 To keep things neutral try using wood features throughout the nursery such as wooden décor and furniture. Light woods work particularly well for neutrality, though if darker woods are your preference ensure the pieces are balanced with softer, curved lines. Whether it’s mountain-scapes, leaf patterns, or adding plants such as the popular fiddle leaf fig into the nursery, both boys and girls love what mother nature has to offer. If you would like to include more feminine nature references such as floral patterns, just keep them limited and ensure for every flower pattern you add some masculine lines. It’s simple to design a gender-neutral nursery. Remember, just start with a theme followed by a neutral or muted colour tone for the walls. Use furnishings and décor with clean lines and a touch of soft edging and add some texture and colour accents through décor. Written by Elka Voigt, mama of 11 month old Owen and co-founder of Elk & Bee with her sister Bianka. 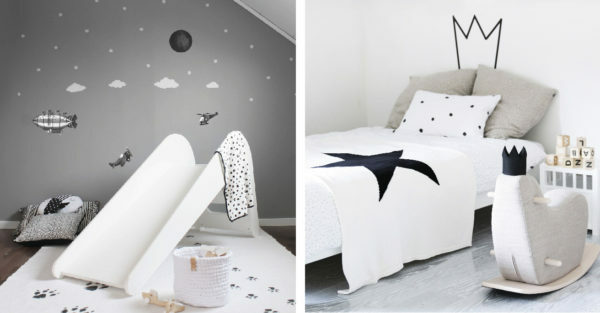 Elk & Bee was created as a way to inspire the imagination through beautiful nursery and kids’ room décor.